Hound Partners, managed by Jonathan Auerbach, is bullish on Tesoro Corporation (NYSE:TSO). A new filing with the Securities and Exchange Commission revealed that Hound Partners has boosted its position in the company to 9.33 million shares from nearly 1.45 million shares reported previously. The new position equates to 7.08% of common stock and is passive by nature. 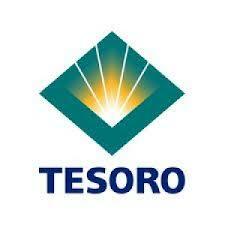 Tesoro Corporation (NYSE:TSO) is an independent petroleum refiners and marketers in the United States. The company is engaged in businesses of manufacturing and selling transportation fuels. The company has a market cap of $7.4 billion, and trades at P/E of 19.80. At the end of last year, the company announced that it closed the acquisition of the majority of the remaining Los Angeles logistics assets for total consideration of $650 million. The assets were previously owned by Tesoro’s subsidiary Tesoro Refining & Marketing Company LLC. The largest shareholders of Tesoro Corporation (NYSE:TSO) include Kurt Billick’s Bocage Capital and Tom Wagner and Ara Cohen’s Knighthead Capital, which held 142,200 shares and 686,500 shares at the end of 2013. In February, Jeff Lignelli’s Incline Global Management reported holding 139,700 shares of the company. Hound Partners was founded by Jonathan Auerbach and Scott McLellan in 2004, seeded by Julian Robertson. The long/short equity fund gained around 16 percent in 2013. Jonathan Auerbach had been a senior analyst at Ziff Brothers Investments before joining Tiger Management in 2004, when he was put in charge of a new umbrella fund, which became Hound Partners. At the end of the fourth quarter of 2013, the fund’s equity portfolio value was $1.9 billion. Valeant Pharmaceuticals International Inc. (NYSE:VRX) and Carters Inc. (NYSE:CRI) were the largest holdings, in which the fund 2.13 million and 2.44 million shares, respectively.